Because you want to win!! 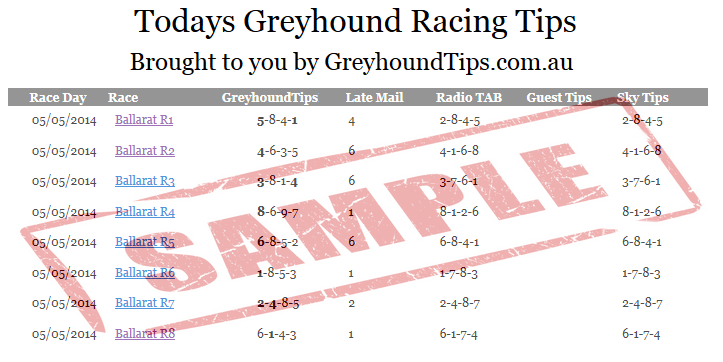 Seriously have a look at our results – HERE and count how many Any2 Dividends or Trifecta’s you would have won today. We have been operating and providing winning tips to our members since 2005. Our goal is to provide you with a reliable tipping service that you can use to help build your own betting strategy and enhance your returns. Being a professional punter takes hard work and discipline but with our tips we help you get there faster. Thank you once again for your interest in our Greyhound Racing Tipping Service and hope we can help you achieve a consistent reliable income from your Daily Punting.